Club Penguin Cheats by Mimo777 Club Penguin Cheats by Mimo777: New Club Penguin Puffle Furniture Catalog! The Puffle Furniture is here! There is one cheat in the catalog. Click the word "puffle" on page 2. 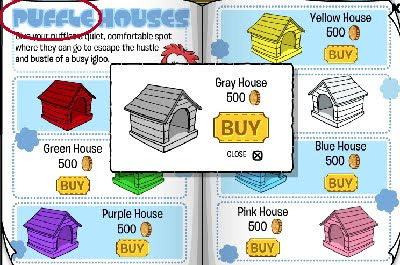 You have now found the Gray House cheat! Have a party on Winglington and Wenks! Why can't I stop saying Lol?! Maybe I just don't wanna get off the computer! 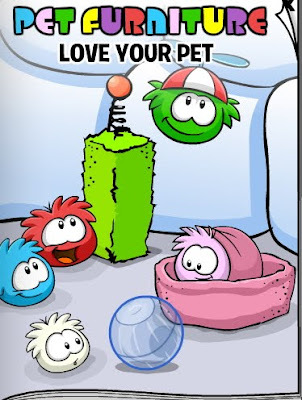 In the puffle catloge theres a puffle washer is ur puffle goes into it it becomes square! Im so exited for the orange puffle! EPP!! NO ROOM FOR RED! OR IS THERE! Can't Wait Until The Puffle Party!! !